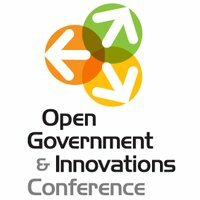 On Tuesday morning, I am attending 1105 Government Information Group’s Open Government conference. I don’t know if the event ended up being profitable, but… they have put together a very good line-up. I will only be there for the morning so I can get back to Federal News Radio 1500 AM and work on the Daily Debrief. That being said, I want to see Federal CTO Aneesh Chopra, who will be joining us later this month for the Federal News Radio Book Club on July 31 discussing Payback: Reaping the Rewards of Innovation. I also am very much looking forward to seeing Tim O’Reilly of O’Reilly Media, the person credited with creating the term Web 2.0. O’Reilly Media, of course, is also sponsoring the Gov 2.0 Summit in September, which I hear has a really stellar line-up. As I usually do, I will be posting my raw notes from Tuesday morning’s sessions. You can read them here as I am taking them — assuming I have Internet connection, of course. EDITOR’S NOTE: These are notes. They are provided for informational purposes but should NOT be seen as a verbatim transcript of the event. That is not the intent. The idea is that information is power — and that information is more powerful when it is shared. That being said, it also requires people assess the information that they receive. Raw, unanalyzed information is probably less accurate then information that has been prepared, edited and assessed in some formal way. All of that being said, I believe that information is power — and therefore I am sharing it. It is sometimes interesting to me how people will sometimes don’t fully assess information. Raw information at times can be more accurate, but generally, it gets better as we think, ponder and analyze. So… take the notes for what they are worth — they are my notes. And I’ll try and post my thoughts about the sessions as soon as I can… and I can’t wait to compare notes with others… and we hope that it all furthers the discussion. I will be tweeting about the session too using #oig. I look forward to following others at the conference.